The revival of the Irish language was a nationalist aim from the late 19th century, but how did the project fare in independent Ireland? By Barry Sheppard. See also his article on Rathcairn Gaeltacht. But how did this kind of success transfer to a state which was now run by fellow countrymen who by and large had the same linguistic aspirations as League members? Was reviving the language merely a symbolic part of the nationalist movement or would it be a real priority in independent Ireland? It was also realised that the League could no longer carry the weight of de-Anglicisation of the country by itself and that the new Government was in a better position to carry on this work more efficiently. 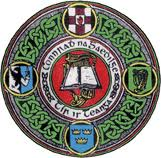 In the pre-Treaty era the Dáil had a ‘rational and systematic policy operating in collaboration with the League’,  illustrated in the Aireacht na Gaedhilge Report to the Dáil in August 1921, when Seán Ua Ceallaigh stated: ‘It is a great advantage and a great financial saving that the Gaelic League is cooperating actively in the work which is our main concern’. This apparent harmony boded well for future relations between the Government and the League. The first governing party, Cumann na nGaedheal,’s apparent resolve to make Irish compulsory in schools was reminiscent of the earlier Gaelic League campaigns. It appeared that both the Government and the League were uniform in their goals. By this time many of rank-and-file League members had all but run out of patience with Cumann na nGaedheal, with the decimation of the Gaeltacht Commission Report being the last straw. In this respect their disillusionment mirrored the widespread view that the pro-Treatyites of Cuman na nGaedheal had not done enough to advance nationalist or economic objectives since 1922 and to turn towards Fianna Fail. Incidents of disharmony between the League and Government were not always confined to disagreements over language policy. The League took ‘grave exception’ to the Oath of Allegiance, (Section 71) of the Local Government Act. This section of the act demanded employees of the state (including teachers) ‘bear allegiance to the Irish Free State and its constitution’ – which included an indirect reference to the British monarchy and had been one of the principle factors in sparking the civil war of 1922-23. The League was viewed some with suspicion by Free State authorities over its stance in relation to the act which indicated some anti-Treaty sentiment within the League. At a meeting of the Central Council in April 1929 a pact with Fianna Fail was proposed which would give that party the support of the Gaelic League at the next General Election on condition the party gave a satisfactory guarantee that they would make the Gaeltacht question a national question. This radical proposal was successfully opposed by those present, including two Fianna Fail deputies,  but it was a clear indication many of the League’s members did not approve of Cumann na nGaedheal’s approach to revival. 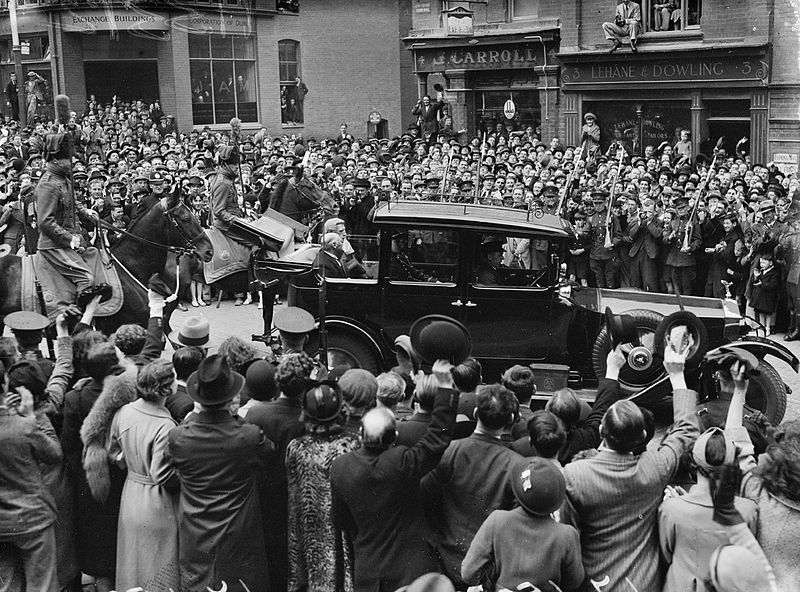 Gaelic League activist Douglas Hyde is inaugerated as President of Ireland in 1938. The issue of the continued detention of republican prisoners also continued to cause problems, at an annual Gaelic League celebration in the Mansion House in January 1935 some League members disrespected the National Anthem shouting ‘release the prisoners’ during its playing and booed de Valera when it had finished. This suggests a more complex relationship which went deeper than language revival. Douglas Hyde opens the new radio station 2 RN. Some Gaelic Leaguers accused it of being an ‘anglicising influence’. From the late 1920s the League also faced the emergence of other Gaelic groups who had become disillusioned with the pace of language revival. The Gaeltacht Defence League was formed in the wake of Cumann na nGaedheal’s failure to implement the Gaeltacht proposals, they claimed to be charged with ‘pushing this question of saving the Gaeltacht’. In 1933 another group ‘Gaedheal’ launched with almost identical aims. With several different groups pushing the Gaelic agenda and a Government seemingly dedicated to Irish revival in power, a meeting was held at the League’s headquarters to decide if there was any further need for the existence of the League. A large majority decided that there was. Nevertheless this indicates the feeling of some that the League had lost its way both ideologically and financially. However the biggest obstacle to the restoration of the language was arguably people’s apathy. Mulcahy argues that Irish could only be revived by stimulating an esteem and love for the language and public policies in relation to this only served to ‘copper fasten the widespread indifference to the language’. 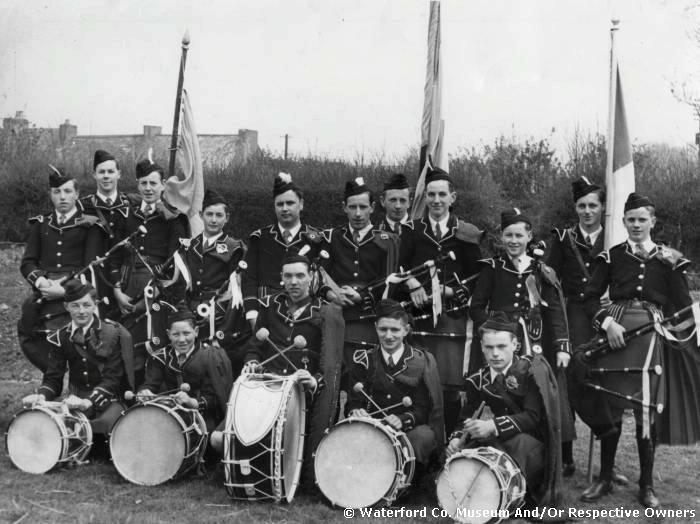 This indifference was not restricted to pupils, the Gaeltacht Commission heard evidence that teachers in areas around Macroom ‘were very apathetic about Irish’. It is certain this apathy was much more widespread. Even in the Gaeltacht areas there was indifference to the language from native speakers who saw learning English as a route to prosperity. In some instances parents even requested that their children be taught in English. Despite these sentiments the government pushed ahead with these educational reforms as they believed that the government’s role was the construction of an Irish nationality and the language was a central part of that. Corkery had lamented the loss of homogeneity within the league with the formation of the Free State, it can be argued this loss can be seen with the financial problems which beset the organisation in this period. The non-payment of affiliation fees by some of the leagues branches would indicate a lack of common direction, it would also suggest that some branches may have experienced campaign fatigue and given up active agitation for language improvement. As the realities of independence unfolded, the Gaelic League lost many members who took a step back, believing that the same political establishment would now take the language movement onto the next level. In a sense, the League lost part of its rationale with independence. However, links between the Government and the League were retained in prominent figures such as Eoin MacNeill, Ernest Blythe and Mulcahy and of course de Valera. However, there were members of the Gaelic League who distanced themselves from politicians of all shades because of the belief that their vision of ‘Irish-Ireland’ was not safe in the hands of those who they saw had sold out the idea of the ‘Ireland: Gaelic and free’, which they had longed for. What was perhaps not predicted by the Gaelic League was the level of apathy towards the language by those who were now expected to learn it in schools and in their jobs, and by those who were expected to retain it (the Gaeltacht population) in the Free State. This would have a discouraging effect upon members of the Gaelic League. The apparent failure of the language to flourish as the Gaelic League would have hoped in the new state can perhaps be explained by the attraction of voluntarism over compulsion. To be involved in a voluntary organisation which had mass appeal was a much more alluring prospect for the average League member than the long term commitment of learning a language. From the point of view of a cultural organisation it is certain that the Gaelic League lost momentum in the new State. Membership of the organisation was not the mark of prestige it once was and many of those who remained within the organisation were viewed the ‘refuge of dissidents’ by some politicians. Connections between League members did continue, albeit on a more ceremonial level with political representatives sharing the same platforms as Gaelic League, and indeed G.A.A. members at public political commemorations and at sporting finals. But ultimately, the dream of an Irish-speaking, Gaelic Ireland would never become a reality. See also The Irish Language:Decline and Irish: A phoenix from the flames? T. Ó hAilin in B. Ó Cuív ed., A View of the Irish Language (Dublin, 1969), p. 99. D. Corkery, What’s this About the Gaelic League? (Dublin, 1942), p. 4. B. Ó Cuív, in D. Williams, The Irish Struggle 1916-1926 (London, 1966), p. 163. S. Ó Buachalla, Education Policy in Twentieth Century Ireland (Dublin, 1988), p. 59. R. Mulcahy, My Father, The General (Dublin, 2009), p. 185. Coimisiun na Gaeltachta Report (Dublin, 1926), p. 3. The Gaelic League Keating Branch, You May Revive The Gaelic Language (Dublin, 1940), p. 31. Coimisiun na Gaeltachta, p. 5. Irish Independent, 10 Oct. 1925. p. 8. Irish Independent, 21 Aug. 1925. p. 5. Coimisiun na Gaeltachta, p. 58. Dáil Eireann- 02/May/1928 Gaeltacht Commission Report p. 2. Irish Independent, 22 Dec. 1926. p. 9. Meath Chronicle, 1 Jan. 1927. p. 5. Irish Independent, 10 Dec. 1927. p. 5. Limerick Leader, 22 Jan. 1927. p. 2. Irish Independent, 10 Dec. 1926. p. 5. C. Meehan, The Cosgrave Party: A History of Cumann na nGaedheal 1923-33 (Dublin, 2010), p. 75. J. Lee, Ireland 1912-1985 Politics and Society (Cambridge, 1993), p. 135. C. Meehan, The Cosgrave Party (Dublin, 2010), p. 73. Irish Independent, 3 Apr. 1929. p. 4. Irish Press, 24 Dec. 1934. p. 8. Irish Independent, 28 Jun. 1926, p. 9. Anglo-Celt, 17 Jul. 1926. p. 2. D. Keogh, Twentieth Century Ireland, (Dublin, 2005), p. 172. Leitrim Observer, 11 Jun. 1932. p. 2. Irish Independent, 19 Dec. 1934. p. 9. Sunday Independent, 11Sep. 1932. p. 1. Connacht Tribune, 22 April. 1933. p. 22. Irish Independent, 14 Jan. 1935. p. 7. Sunday Independent, 6 Sept. 1936. p. 9. Irish Independent, 15 Nov. 1934. p. 5. Irish Press, 21 Jun. 1937. p. 6. Keogh, Twentieth Century Ireland, p. 93. Gaelic League, Revive The Gaelic Language, p. 26. Ó Cuív, The Irish Struggle, p. 165. Irish Independent, 7 Aug. 1936. p. 14. F. McGarry, Eoin O’ Duffy A Self Made Hero, (Oxford, 2005), p. 144. R.V. Comerford, Ireland, (London, 2003), p. 146. Corkery, The Gaelic League, p. 16. Gaelic League, This Irish Racket (Dublin, 1944) p. 11. Irish Press, 17 Nov. 1934. p. 7. Gaelic League, Revive The Gaelic Language, p. 18. F.S. Lyons, Ireland Since The Famine (Glasgow, 1973), p. 637. S. O’Ceallaigh, Gaelic Athletic Memories (Dublin, 1945), p. 30. I. Watson, ‘Irish-language broadcasting’, pp 739-757. Irish Press, 9 Nov. 1939. p. 8 (It was claimed a programme maker was paid ‘£3 3s’ to make a broadcast in English, and ‘£2 2s’ to make the same programme in Irish). Southern Star, 20 Jan. 1934. p. 5. Irish Press, 11 Apr. 1933. p. 10. Irish Press, 1 Oct. 1937. p. 9. N Buttimer in J.R. Hill, A New History of Ireland VII 1921-1984 (Oxford, 2010), pp 557-558. Anglo Celt, 20 Apr. 1929. p. 7. P. Ó Fearail, The Story of Conradh na Gaeilge, (Dublin, 1975), p. 47. Irish Press, 6 Nov. 1933. p. 7. J. Dunleavy & G. Dunleavy, Douglas Hyde: A Maker of Modern Ireland, (California, 1991), pp 315-317. Irish Independent, 1 May. 1939. p. 6. P. Maume, Life that is Exile: Daniel Corkery and the Search for Irish Ireland (Belfast, 1993), p. 126. Irish Independent, 2 Dec. 1929. p. 10. Irish Press, 13 Nov. 1933. p. 2. Irish Independent, 18 Dec. 1934. p. 7. Akenson, A Mirror To Kathleen’s Face p. 36. Mulcahy, My Father, The General p. 186. Irish Independent, October 7, 1925, p. 8. Crowley, Wars of Words p. 171. Fr. Michael, The Golden Jubilee of the Gaelic League 1893-1943 in The Capuchin Annual 1943 (Dublin, 1943), p. 475. Written by: Barry Sheppard on 2 August, 2012. Last revised by: John_Dorney22 August, 2012. 4 Responses to "The Gaelic League in the Irish Free State in the 1920s and 1930s"
Very interesting article. My father was Tomás Ó’Mannacháin who worked as a Gaelic League teacher from 1908.First in Nth Laois= Mounmellick. Between 1912-’14 he taught in Rush=Fingal Nth. Co. Dublin. In 1914 he returned to Laois = Abbeyleix.In 1918 he was Timire for C na G for Cos. Laois and Offaly. In 1920 he was Timire for Kilkenny and the Diocese of Ossory. He was arrested in Kilkenny for Gaelic League work. He was released on Christmas eve 1920 and returned to his native Milltown Co. Galway. He was ‘on the run’ until the truce of 1921.He resumed teaching Irish in Tuam in 1921 but the classes fell apart. In 1922 he returned to Laois and taught there in Abbeyleix, Mountmellick, Carlow, Portlaoise ( then Maryborough) Mountmellick. Between 1925-’28 his short stories were published in An Stuc by UCG. The storied were re-published in 1995, and launched in Dublin by Prionsias Mac Aoughuasa. I have been asked to give talks about him over the past few years 200 people attended in the Power Point presentation I gave in Dublin. I am currently writing a Biography of him although he died when I was 6 years. Its based on written sources. If anybody has any information on him I would like to hear from them.